The concrete extension rings or extension modules by PREFABRICADOS ALBERDI, S.A. are vertical elements in mass or reinforced concrete that allow the necessary height of the different precast concrete manholes to be modified. 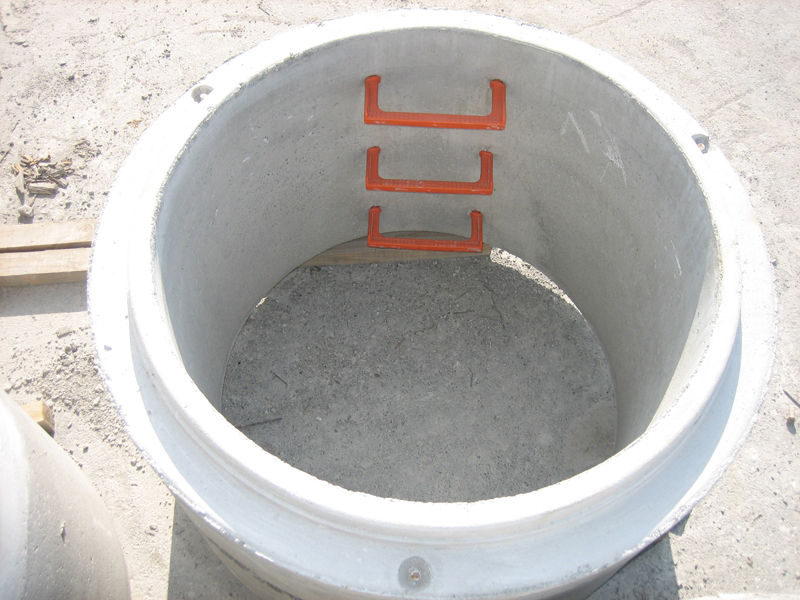 The extension rings are fitted with suitable flexible elastomeric gaskets, ensuring fully watertight joints between the various elements that make up the precast concrete manholes. 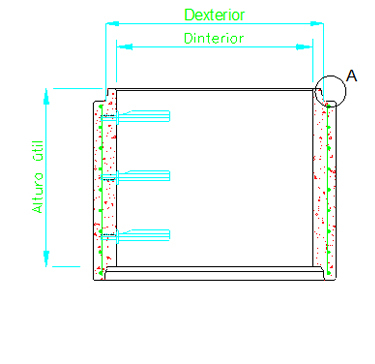 The concrete extension rings or extension modules also consist of polypropylene steps integrated in the form of a stairway at the distance specified by the current regulations to allow access to and maintenance of the pipeline, and to be able to descend down to the connections in the base module. In addition to joints with elastomeric sealing gaskets, every extension module also have various pins to facilitate transport, loading and unloading and the positioning of the concrete manhole bases on-site, providing greater speed, agility and safety in the execution.